Latest Design Option 6, Photo 5 » Roger Perron Inc. 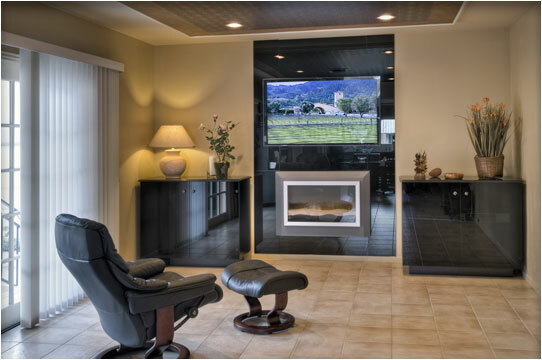 Here is the remodeled family room with entertainment center and electronic sand-filled fireplace below. The entertainment center background is black beveled glass, which artistically surrounds the TV and fireplace, with two flanking cabinets. The ceiling detail is a 1’’ drop section with decorative molding, centered by two complementary designs of wallpaper. The tile floor makes for easy cleaning.